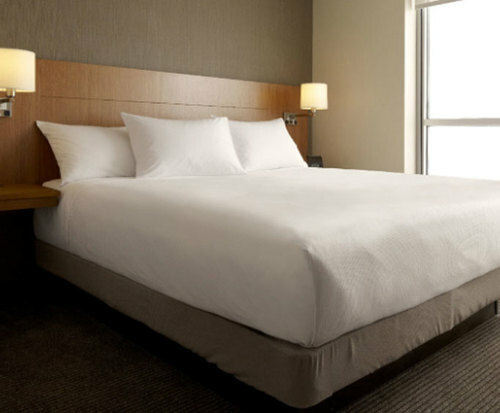 Hyatt Place Dallas Plano is a stylish hotel located in the beautiful city of Plano, Texas. The property is conveniently located within steps of the Shops at Willow Bend and the Arbor Hills Natural Preserve. In addition to those great establishments, the hotel is also located within close proximity to The Shops at Legacy and Hawaiian Falls the Colony. 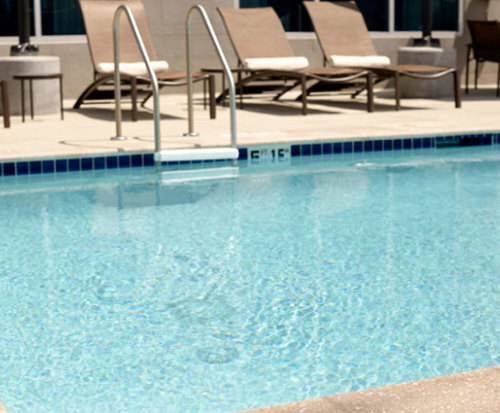 Hyatt Place Dallas Plano offers a wide variety of services and amenities that make it perfect for both the business traveler as well as families who are taking a vacation. The hotel offers a large outdoor pool that is open seasonally, and a state of the art fitness center is available for use. The hotel offers complimentary internet access for all of its guests, a television in the lobby, and concierge services. For those guests that do not want to drive, the hotel offers a complimentary shuttle services that stops by every major attraction within five miles. A business center is located on the property, as well as a large meeting space for the corporate traveler. For guests that are hungry, they can enjoy a nice meal at the hotel restaurant, and later in the afternoon or evening, a delicious cocktail or cold beer in the hotel bar. The property boasts 127 guest rooms that are tastefully designed, and come with all the basic necessities that one would enjoy in their own home. 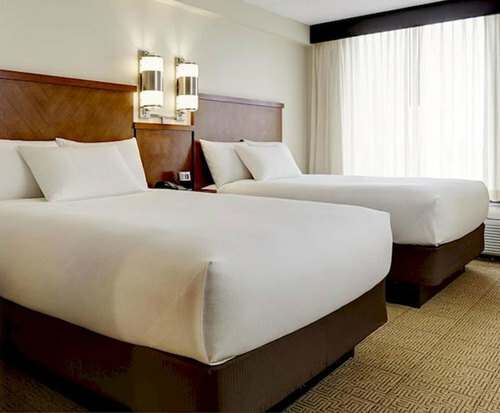 Guest rooms come standard with a flat-screen television, a refrigerator, a comfortable bed with down comforters, and a queen-size sofa bed. The bathrooms contain both a shower and a tub, and offer the guest complimentary toiletries. All the guest rooms offer complimentary wireless internet.